New cases have emerged of Azerbaijanis facing heavy fines and imprisonment for trying to sell or distribute religious literature. The South Caucasus state, which supposedly allows religious freedoms under its secular constitution, has made it difficult in the past for Christians to practise their faith. Kifayat Maharramova is the most recent individual known to have been fined for selling religious literature without the required approval from the State Committee for Work with Religious Organisations, according to regional news agency Forum 18. She was fined on 1 May following the police seizure of 58 books and 16 CDs from her shop in Azerbaijan’s second city, Gyanja. Earlier in 2017, two booksellers in the capital, Baku, failed to overturn similar fines on appeal. All three were fined 2,000 Manats each (about $1,200), equivalent to about four months’ salary for local workers. In the southern town of Astara, close to the border with Iran, police are investigating after officers seized 365 “banned” religious books and 13 CDs from five homes on 5 May. Qagayi Mammadov, the regional representative of the State Committee, told Forum 18 that the raid and religious literature seizures were nothing to do with him. In an interview with the news agency Turan in August 2016, Mammadov claimed that there is no such concept as “banned” religious literature, insisting that the State Committee judges work on its “appropriateness”. He said religious works are deemed “inappropriate” if they promote religious enmity, hatred or superiority of one person over another. One shop in the capital, Baku, is now allowed to sell religious books, but only after a significant delay in winning approval. 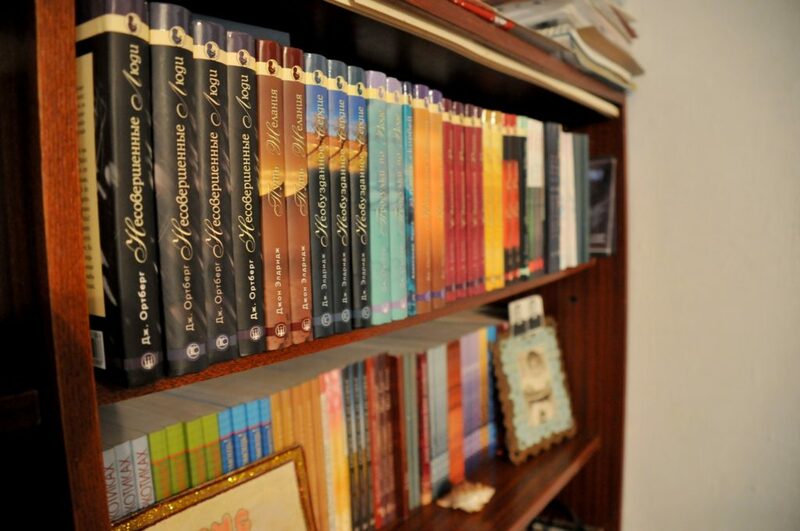 In March, a court in Baku handed down an acquittal after a bookshop that sells Christian books proved that the items being sold had State Committee approval, or were sample copies to be submitted for such approval. Eight years after it first applied, the State Committee has finally given the shop the license it needs to sell religious books and items. How does the State Committee work? State Committee officials involved in implementing the compulsory religious censorship deny that religious books have been banned. They insist that they simply deny permission for them to be distributed or imported because it is considered inappropriate. In addition, all religious literature produced, published (including on the Internet), or imported into Azerbaijan is subject to prior compulsory censorship. When the State Committee does give permission to publish or import materials, it also specifies how many copies can be produced or imported. All religious materials sold must have a sticker noting that they have State Committee approval. State officials have repeatedly denied that this represents censorship. The stickers from the State Committee cost religious communities or bookshop owners only 0.02 Manats (around one cent) each. However, acquiring them can be difficult. The State Committee does not publish any list of books it has banned, despite promises by the then State Committee Head in 2013 that they would do so soon. The Old Testament, the 14-volume "Risale-i Nur" (Messages of Light) collection of writings by the late Turkish theologian, Said Nursi, and several Jehovah's Witness publications were included on a police list of "banned" religious literature, based on State Committee "expert analyses". Police often seize these and other religious works in raids on homes. Such seizures happened during police and State Committee raids on 9 April on two homes in Lokbatan, in Baku's Qaradag District, where Jehovah's Witnesses were meeting. Those who violate the state censorship of all religious literature face punishment. Prosecutors can bring cases under both criminal and civil law. Criminal Code Article 167-2 punishes “production, sale and distribution of religious literature (paper and electronic formats), audio and video materials, religious items and other informational materials of religious nature with the aim of import, sale and distribution without appropriate authorisation”. First-time offenders of this law face fines of 5,000-7,000 Manats ($3,000-4,000) or a prison sentence of two years. Penalties are greater for groups or second-time offenders. According to Pew Research, there are about 280,000 (3.1%) Christians in Azerbaijan, where the vast majority of the population is Muslim.